It’s a somewhat common occurrence that our readers will have an old piece of furniture that they’re looking to have refinished. It may be a family heirloom, or perhaps an antique. Perhaps it’s just a well built piece of furniture that can use a new look. Maybe it’s even been damaged over the course of the years and it needs a bit of touch up. No matter the scenario, if you’ve never refinished a piece of furniture before you might need some guidance as to how to get started. In this article we’re going to quickly provide you everything that you need to know to determine your course of action, gather your supplies, and get started with your project. 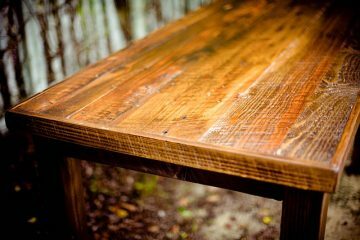 The piece that you want to refinish does not have a layer of clear coat. The color you want to refinish it with is similar to the existing color. There are no major stains that need to be removed prior to refinishing. If all of these conditions are true, then you can just go ahead and apply a fresh coat of stain on the furniture and call it a day. It is recommended that you wipe down the piece thoroughly and ensure that the surfaces are clean and dry prior to applying the stain. You can optionally add a layer of clear coat when you’re finished to protect the piece further. If your piece of furniture does not meet these criteria, then a more extensive staining procedure will be required. 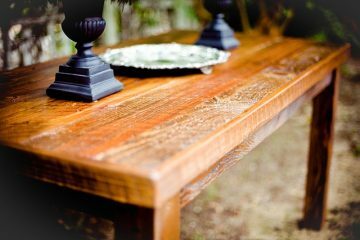 If your piece of furniture will require a more extensive refinishing, you’ll want to start by removing the existing finish. This is best done with paint stripper. Some people try to remove the finish by sanding which can work to some extent, but it will likely result in more labor and less desirable results. Apply the paint stripper as instructed by the manufacturer and remove with a scraper once it’s finished working it’s magic. Make sure to properly dispose of any waste generated by the removal of the original finish. By now you should have a raw piece of furniture. The best way to really see what needs to be addressed is to coat the piece with mineral spirits. This will show you what the furniture will look like with a new coat of stain. Any deep scratches or gouges are best addressed now. 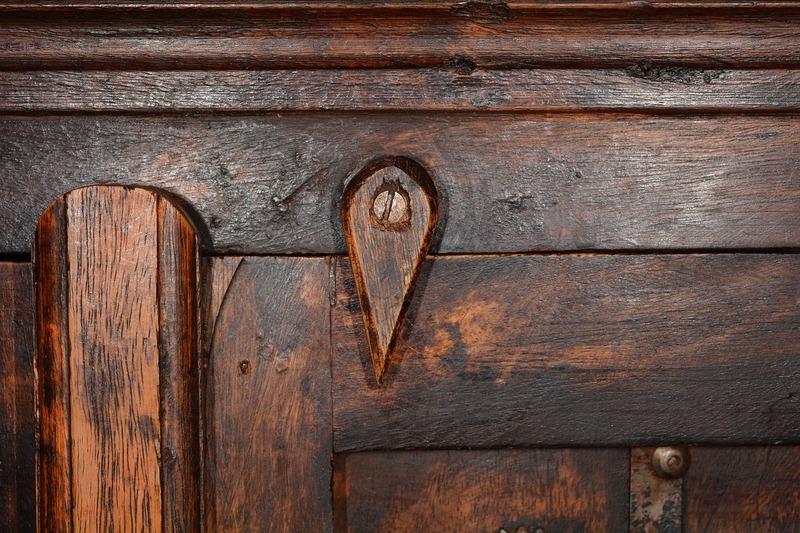 You can try leaving a bead of water on the defect and see if the wood absorbs it and regains it’s original form. If not, you’ll want to fill the defect with wood putty and allow it to dry. Next you’ll want to sand the entire piece so that it is nice and smooth before proceeding with the finish. Start with a medium grit sandpaper (say 200) until you’ve evened out the surface, then bump up to a fine grit to smooth the surface out nicely. With your furniture surface fully prepared you can go ahead and apply your stain. It’s best to use a cloth or a sponge as opposed to a paint brush, as you’ll be less likely to get streaking from the bristles. Often you’ll need at least two coats to get the fullness of your desired stain. Allow coats to dry in between applications so you can see how the color has taken. When you’ve finished applying stain it’s up to you as to whether or not you want to apply clear coat. Generally it’s recommended as it will protect your furniture and preserve all of your hard work. Once all said and done it is recommended to let the finish fully dry before putting it back into use. This will help the finish set properly and reduce the aromas from the materials used. Consult the manufacturer’s directions for appropriate drying times and conditions.